These uncaptioned images accompanied an article in the May 1969 issue of Action, the monthly newspaper of the United Federation of College Teachers. 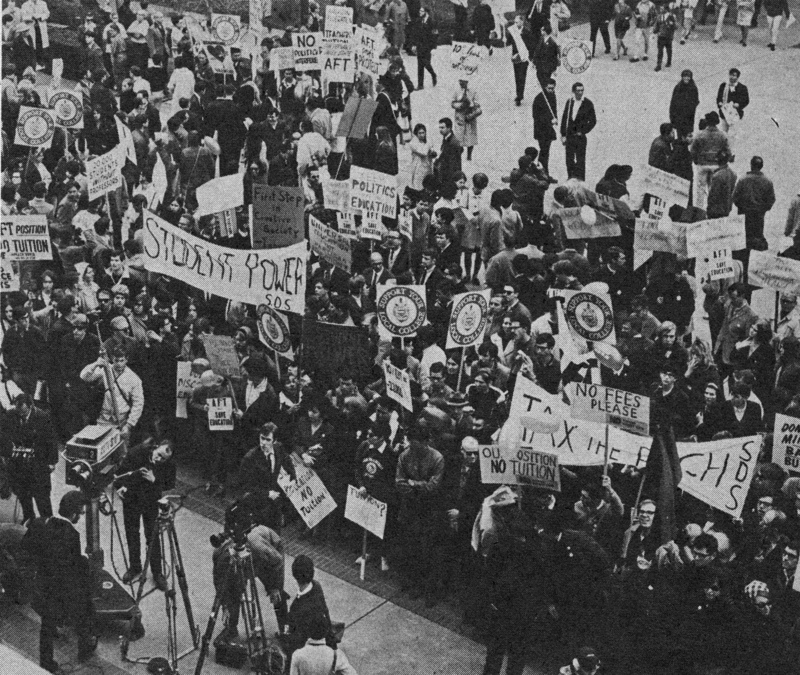 Clearly representing a range of organizations and political positions, the focus of this demonstration was generally one that supported public education. Signs from SDS (Students for a Democratic Society) read "Tax the Rich" and "Student Power. " And AFT (American Federation of Teachers) signs read "AFT: Save Education" and "AFT Position, End Tuition." Others say: "Support your local college," "No Fees Please" "No Tuition No Cuts - Free Education" and "Share the Cost of Public Education - don't Ask me to Bear it all." 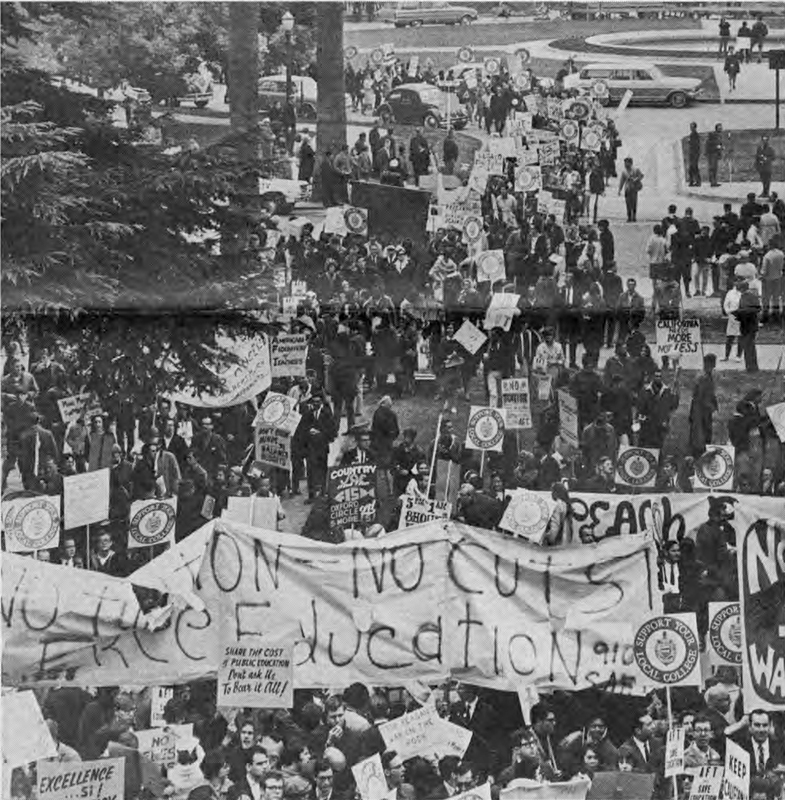 Cite This document | Unknown, “Two Photographs from 1969 Demonstration,” CUNY Digital History Archive, accessed April 18, 2019, http://cdha.cuny.edu/items/show/4982.